In this talk that Thubten Phuntsok gave at Nankai University in Tianjin, he speaks about Tibetan language, grammar and the issues with current classification of these dialects (which some scholars argue should be called languages). The debate around linguistic diversity in the Tibetan speaking world has heated up in recent years with scholars such as Gerald Roche specialising in this field. Thank you to Palden Gyal for this translation from Tibetan to English! 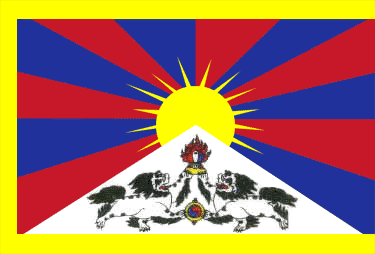 According to the science of grammar, the approach of classifying Tibetan language into the three regional dialects of Kham, U-Tsang, and Amdo is inaccurate, because there are dialects like that of Gyalrong, Mon, Bhutan, and Ladakh that are not part of or cannot be included in this system of classification. Perhaps it is not that problematic to include the dialect of Ladakh as part of the U-Tsang dialect, however, the dialect of Gyalrong and Bhutan cannot be classified as any of the three major regional dialects. Research and study of the historical development of the language suggest that Gyalrong dialect is the mother of the Tibetan language. 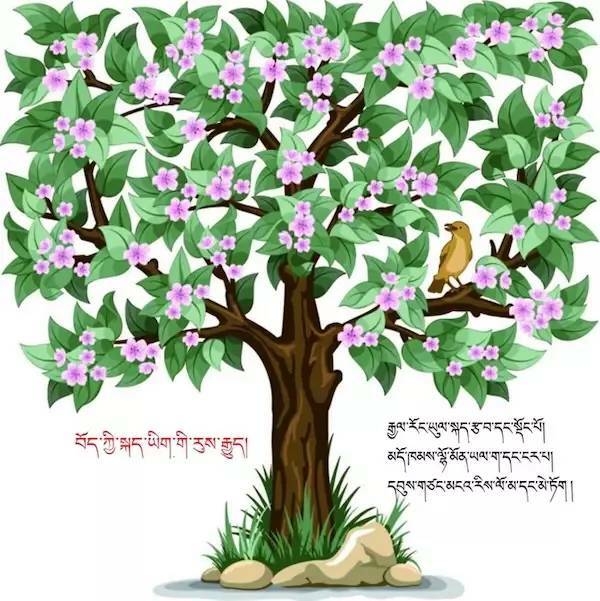 Tibetan dialects should be classified into six major dialects as follows: 1) Gyalrong dialect as the root, 2) Amdo dialect, 3) Kham dialect, 4) Southern or Monpa dialect, 5) Ladakh dialect, and 6) U-Tsang dialect. The great scholar Situ Panchen made the statement: “the creation and invention of the Tibetan script (bod kyi yi ge) was based on the sound of ancient Tibetan language, and Tibetan language that is intact from that period is the current dialect of Shar Gyalmo Rong.” From the ancient times of imperial Tibet to today, the name of Shar Gyalmo Rong (shar rgyal mo rong) remained unchanged, and many ancient traditions and customs of Zhangzhung Tibetan culture still thrive in this region. It is a historically important place where, in an ancient period, Chongphag Tamo (khyung ‘phags khra mo) from Zhangzhung region, Bero Tsana (bai ro tsā na) during the imperial Tibet, and Situ Chokyi Jungne (chos kyi ‘byung gnas) in the eighteenth century and so forth arrived in Shar Gyalmo Rong, and made it a crucial center of their cultural and intellectual activities. Today, there are a number of linguists, who with little knowledge of Tibetan dialects or the language itself, Tibetan history, or more specifically, the historical development of the Tibetan language, assert that the dialect of Gyalrong is not Tibetan. Their argument is based on simple surveys of the dialect’s sound or pronunciation. 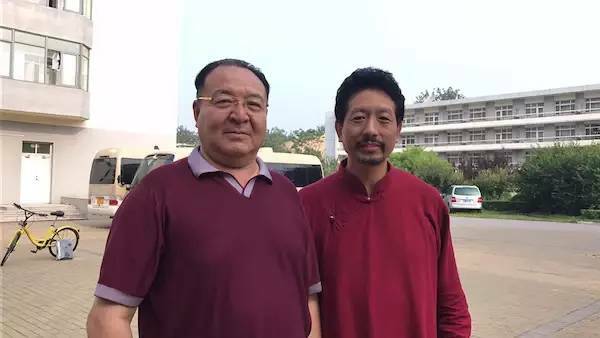 Not only are there a few such linguists in this country and in foreign countries, there are individuals in Gyalrong who are neither knowledgeable of the Tibetan language (bod yig) nor competent in Gyalrong dialect, but still insist that their dialect is not Tibetan. On the other hand, there are a number of scholars from Gyalrong that are well-versed in Tibetan language, history, and culture who recognize and contend that Gyalrong dialect is the “living fossil” of the ancient Tibetan language. Therefore, there are two different groups even in Gyalrong. The first scholar who studied the grammar of the Tibetan language as well as Gyalrong dialect is Situ Panchen Chokyi Jungne. From 1730 to 1745, after researching and analyzing the origin, development, and transformation of the Tibetan language for fifteen years, Situ Panchen arrived at a few conclusions. The reason why Tibetan created and adopted a writing system that has prefix, suffix, superscripts, and subscripts, a feature foreign to its geographical neighbor languages, is that during the time of its creation the spoken Tibetan voiced consonant clusters including prefix, subscripts and stacked consonants. Thus, Situ Panchen unhesitatingly concludes that when Tibetan writing system was first created, it was based on the Gyalrong dialect. 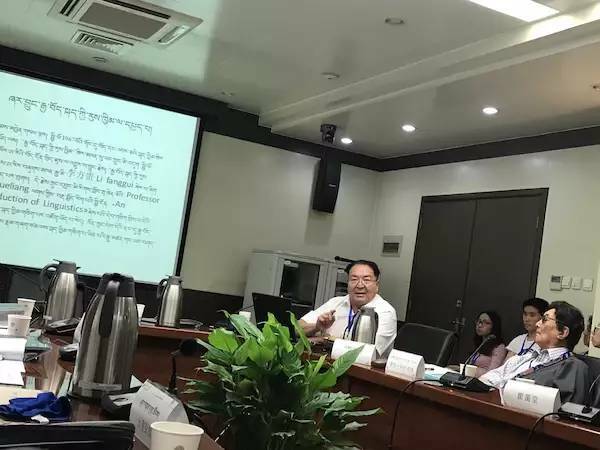 The well-known contemporary scholar and historian Tsenlha Ngawang from Gyalrong also proclaimed that Gyalrong dialect is the “living fossil” of the ancient Tibetan language. In a time when there is a proliferation of research and scholarship in the study of languages and the science of grammar around the world, there is a peculiar dearth and even decline of serious scholarship and research on the Tibetan language and grammar. The chief reason for this deplorable state of affairs is that the administrators and professors in colleges understate its importance by arguing that grammar [or more specifically sum rtags dag gsum] is taken care of in elementary school, and that it requires no further study in college. It is this appallingly mistaken view and attitude that has impeded the advanced study and research in the development of Tibetan grammar for an era. As a result, today, we have an increasing number of literate people in monasteries and colleges who use wrong verb tenses, misspell even simple nouns, and although what they are writing is Tibetan, their phraseology and sentence constructions are highly influenced by Chinese. When you read contemporary writings, you could easily observe how it has gotten worse in comparison to the 80’s generation of the last century. This is a grievous crime of Tibetan intellectuals and scholars of this generation. It is time that we started carrying out a serious study and research on the grammar of the Tibetan language based on its existing theories and developments in order to reform and formulate a new science of grammar that conforms to the standards of contemporary linguistic theory and grammatology, and at the same time fulfills the practical need of such a reform for Tibetans. For such an undertaking, we must find and create programs and platforms that recognize the significance of such a research project, similar to Nankai University’s initiatives. To begin such a project, we must first translate all major works of contemporary linguistic theory and grammatology from either Chinese or English into Tibetan. With its theoretical framework, we have to determine a new science of grammar for the Tibetan language based on the existing grammatical texts of “sum rtags dag gsum” (Root Grammar in Thirty Verses, Grammar: The Guide to Signs, and Text of Orthography) with the inadequacies of the present system improved by the concepts and theories of contemporary linguistics. Although the grammar of the Tibetan language has a history of over one thousand three hundred years, today our monasteries and colleges increasingly suffer from a deficit of people who are learned in the science of grammar (brda sprod rig pa). In ancient times, the Chinese language did not have an authoritative text of grammar, but in the nineteenth and twentieth century, because Chinese scholars created a science of grammar by studying the theoretical models of English and French grammar, today the Chinese language has a science of grammar that is well established and informed by the concepts and theories of contemporary linguistics. We must study how the Chinese language developed and improved the theoretical model of its grammar.